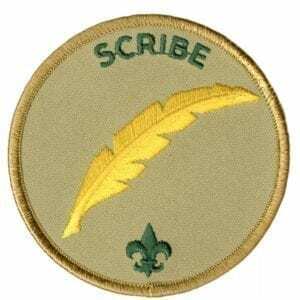 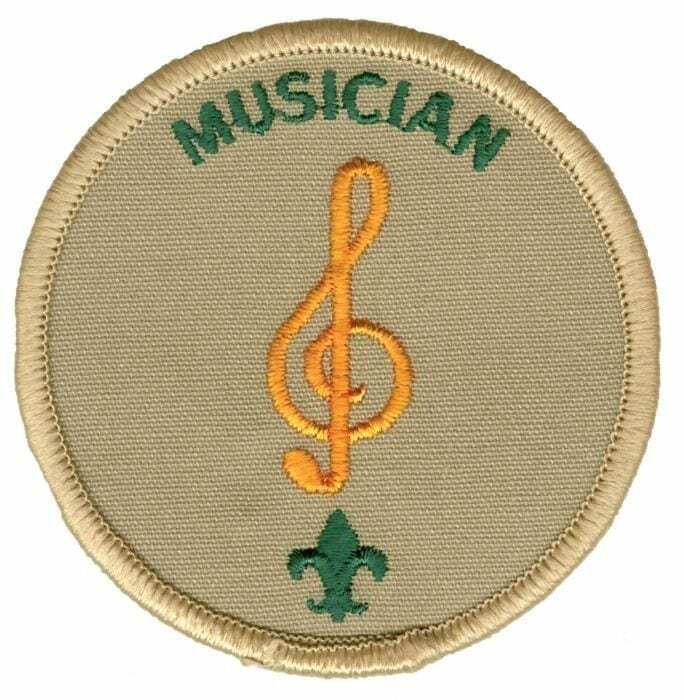 Khaki emblem for a youth serving as a Musician in a Scouts BSA Troop. 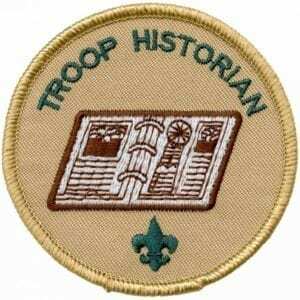 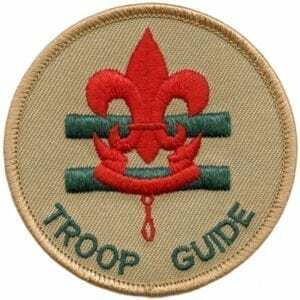 A troop Musician is a member of a unit or council band, drill team, or drum and bugle corps. 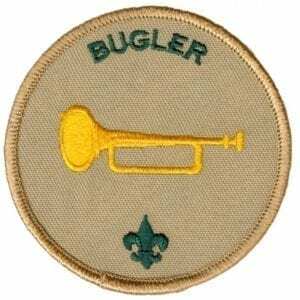 Worn on the right sleeve under the patrol emblem and/or Journey to Excellence unit award.